Excellent, personalized, timely service. Excellent product! As we all know, the fiber optic cleaver which be used to cut the fiberglass to make a good end face is very important in the fiber splicing processes, so the cleaver replacement blades which can be used with the fiber optic cleavers are also vital. 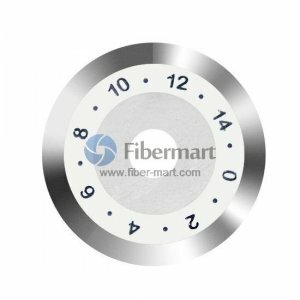 Fiber-Mart offers many types of cleaver blades that could work together perfectly with our fiber optic cleavers, and the cleaver blades are manufactured to exceed the specifications required for the Fiber Optic industry. Welcome to contact us for more if you are interested in this kind of products. Save your money & time right now!